Google has used the opening keynote of its I/O 2016 conference to announce two new offerings. The Alphabet-owned company has introduced its own Siri/Cortana/Alexa-like personal digital assistant called Google Assistant, as well as an Amazon Echo rival called Google Home. 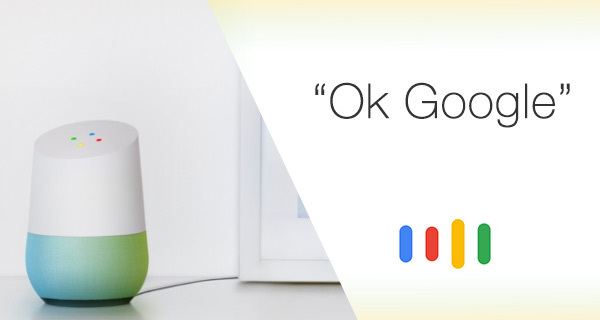 Google CEO Sundar Pichai described the underlying technology within Google Assistant as a “conversational assistant”, whereas Mario Queiroz – VP of product management at Google – claims that the Home will come equipped with “strong bass and clear highs” that should eclipse the performance of the Amazon Echo from a musical enjoyment perspective. Google’s new Assistant offering is based on existing technology that the company has developed over the last few ways. In a similar fashion to Google Now that has proven so popular, the technology itself will be voice-activated and it is conversational like Siri and Alexa, and will be offered across a wide array of devices including the newly announced Google Home. On a user-interface level, Google has opted to package Assistant together into a chat bot-esque interface that has similarities with what Facebook is trying to achieve with Facebook M. After all, chat bots are the new buzz topic in 2016. As part of the opening keynote, CEO Sundar Pichai provided a quick insight into why Google Assistant has come along at the perfect time by declaring that one in five of Google search queries on Android in the United States comes in the form of a voice query. Step forward the AI-driven Google Assistant to help with those queries. Google is looking to launch the service later this year. Google has finally granted the wishes of those consumers who have been looking for a competitor to the fabulous Alexa-powered Amazon Echo device. After announcing the existence of the Google Home, the company has also announced that it will be released later in the calendar year for an unspecified price, and that interested consumers can sign up for notifications about the product right now over at the dedicated Home web page. 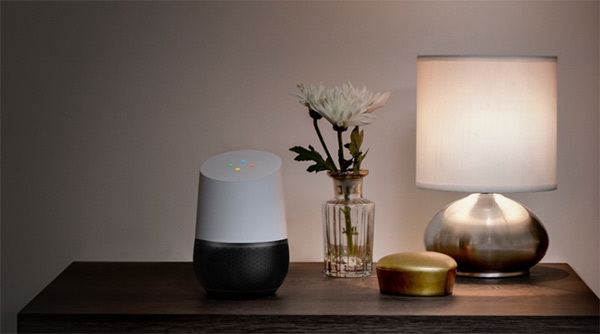 From a product perspective, Google Home is a voice-activated product for the connected home that allows owners to get instant answers to Google searches, automate the streaming of music and other home automation devices, and even manage everyday tasks with minimal fuss. Of, course as you might have already guessed, it is powered by Google Assistant. Design wise, Google Home actually looks pretty quirky and appealing. The little cylinder comes with an attractive angled top with a slight bulbous bottom that houses the internal speaker. Users will be able to customize and tailor the Home to their own tastes by replacing the base shell. There’s also built-in LEDs embedded into the angled top to alert users to certain conditions, and to just generally let them know that the thing is functioning. Users will be required to keep the device permanently plugged in, meaning that it isn’t exactly mobile, but it does allow for a powerful speaker for all those music needs. Interested parties can sign up for more information and notifications on the Google Home directly at the new home.google.com page.